Here you will find our giant selection of ladies snowboard pants, ski pants and salopettes Snowboard/Ski Pants - Trousers, Bibs & Salopettes from the industry's finest brands for girl's. This season's pants at great prices plus amazing discounts on last season from top brands like DC, Burton, Westbeach, Rome and Spyder. 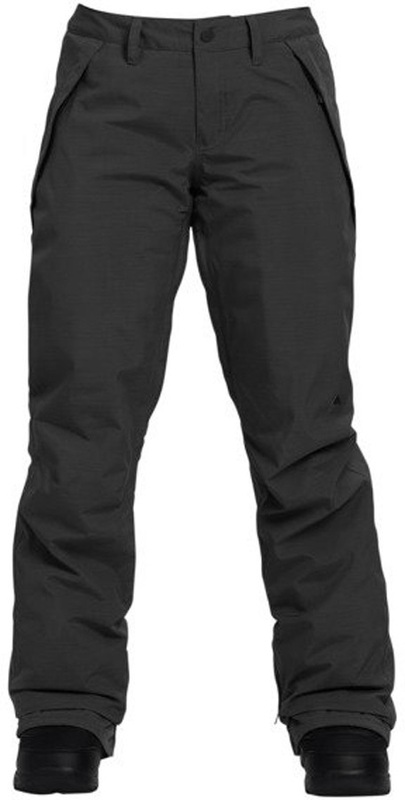 Ladies snowboard pants in all UK women's sizes and colours with amazing waterproofing and insulation to keep you warm and dry on the mountain. The Fancy Pant from Air blaster are a slim fit Women's snowboarding pant with a very reasonable 10,000mm waterproof rating! Chino styled skinny fit pants from Picture. Women's tailored ski and snowboarding pants. Slim fitted pants with innovative Living Lining from Burton. Slim fitted pants with Burton's innovative Living Lining for quality performance. Skinny fit pants that tick all the boxes when it comes to shelter and style. All new redesigned Good Times pants that have a massively improved female specific fit. Roxy's eco-friendly, tailored pant for all-day comfort. Skinny cut stretch ski/snowboard pants for ladies with style. The Recruit pant from DC, a tailored fit cargo pant to keep you warm and stylish on the mountain.